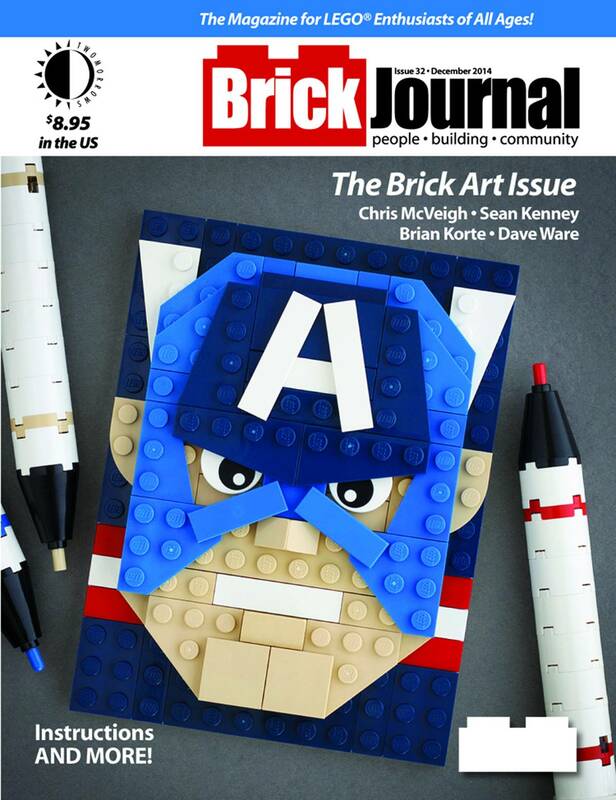 BrickJournal turns a discerning eye toward LEGO artistry with builder and photographer Chris McVeigh, and mosaic builders Brian Korte, Dave Ware, and Dave Shaddix! We also talk with sculptors and LEGO Certified Professionals Sean Kenney (about his nature models) and Ed Diment (about a full-size bus stop built with LEGO bricks)! 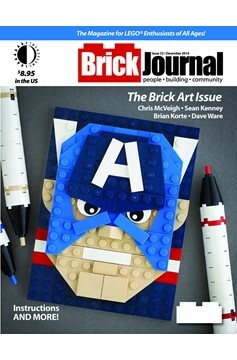 Plus: don't miss our regular feature on Minifigure Customization by Jared K. Burks, AFOLs by cartoonist Greg Hyland, more step-by-step 'You Can Build It' instructions by Christopher Deck, our regular feature on Mindstorms building with Damien Kee, DIY Fan Art by Tommy Williamson, and more!.